You go out, buy a dress because it looks damn pretty but then something goes off when you wear it. Relatable? It’s the fitting that doesn’t fit. To make sure you never have to go through that again, Label Silayi is making cotton dresses that fits like a dream. 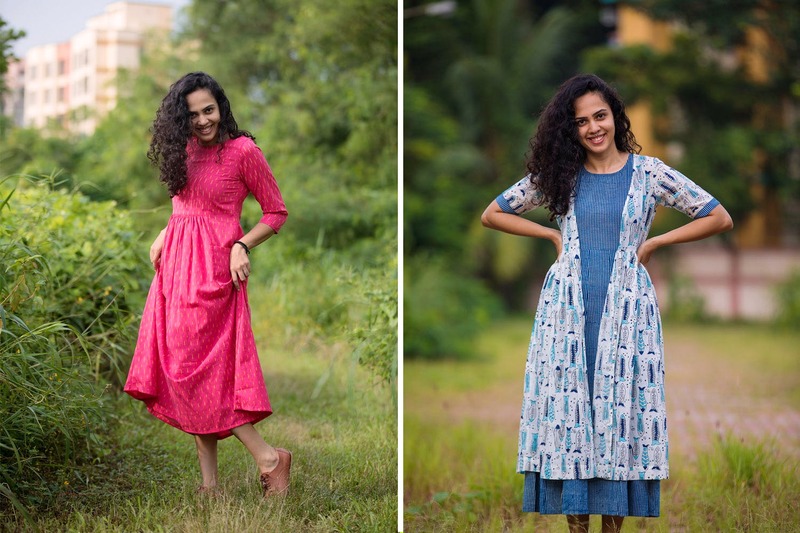 Label Silayi, started by Shweta Arora, is a label that makes super comfy one-piece tunics, kurtas, tops and skirts. And what sets them apart? Their use of pure cotton fabric and seamless fittings, like each piece is tailormade for you. They actually spent six-eight months trying clothes to ace that fit. All designed by Shweta herself, she creates simple silhouettes that are easy to wear but look stylish at the same time. All her designs are executed by one tailor master, and one stitching karigar. And to complete operations, she has a friend who handles her social media. For woven fabrics, she visits small villages like Pochampalli and Nolgonda which are located on the outskirts of Hyderabad and works with the artisans directly. For other printed stuff, Shweta works with small wholesale vendors in an around Jaipur. Her entire range is priced between INR 1,500 to INR 3,000. To give you a fair idea, one piece ikkat dress is priced at INR 1,800, and a two-piece dress with printed jacket is priced at INR 2,900. Often seen at exhibitions around Mumbai, her stock is also stacked at Varam Home Décor Store in Goregaon East. Otherwise, you can visit her Instagram handle to see her latest additions.